The ECC preschoolers, personally escorted by Olmsted Township Police Chief John Minek and Olmsted Township Trustees Sherri Lippus and Jeanene Kress, walked to the new Olmsted Township firehouse last week for a very special tour of the new facility given by the firemen. The students will return to the new complex next week to tour the Olmsted Township Police Station! Students at the Middle School have been busy rehearsing for the spring musical, Godspell Jr. Performances begin tonight, April 25th and run through Friday, April 27th. All three evening performances begin at 7:00 p.m. in the Middle School cafetorium. Tickets are $5 for adults and $3 for children, students, and seniors. For a sneak peak into yesterday’s dress rehearsal performance of the musical, please click HERE! It was a very good weekend for the Olmsted Falls Academic Team! On Saturday, April 21st, Olmsted Falls hosted the OAC (Ohio Academic Competition) Regional Tournament for the newly added North Coast Region. Teams qualified for the Regional Tournament by winning their league or a tournament in the State of Ohio. This is the OAC, “Ohio Format” of quiz bowl that is only played in the State of Ohio. Our A Team, consisting of captain Sohan Vartak, Marty Mendenhall, Brad Sevcik, Nathan Seese, and Julie Wu went 5-0 on the day winning the North Coast Regional and securing one of only 12 spots at the State of Ohio OAC Championships on May 5th. The matches included a heart stopping overtime win over Solon 56-55, with Olmsted Falls pulling off the win on the last question of OT by senior captain, Sohan Vartak! Congratulations to the entire Academic Team! On April 23rd, WEOL Radio will broadcast the Academic Team’s match against Keystone on the Scholastic Games of Lorain County at 6:05 pm. Sohan Vartak, Marty Mendenhall, and Brad Sevcik represent Olmsted Falls on this award winning program. The team will tape the semi-finals against Avon Lake on April 29th at the Elyria Ramada Inn at 1:00. We wish the Academic Team the best of luck and continued success. Spectators are welcome and thank you for your continued support of the Academic Team! Congratulations to our Middle School students whose academic achievement earned them a place on the Les Excellence, Honor or Merit Roll for the 3rd Quarter. To view the 3rd Quarter Academic Review Lists for Olmsted Falls Middle School, please click HERE. 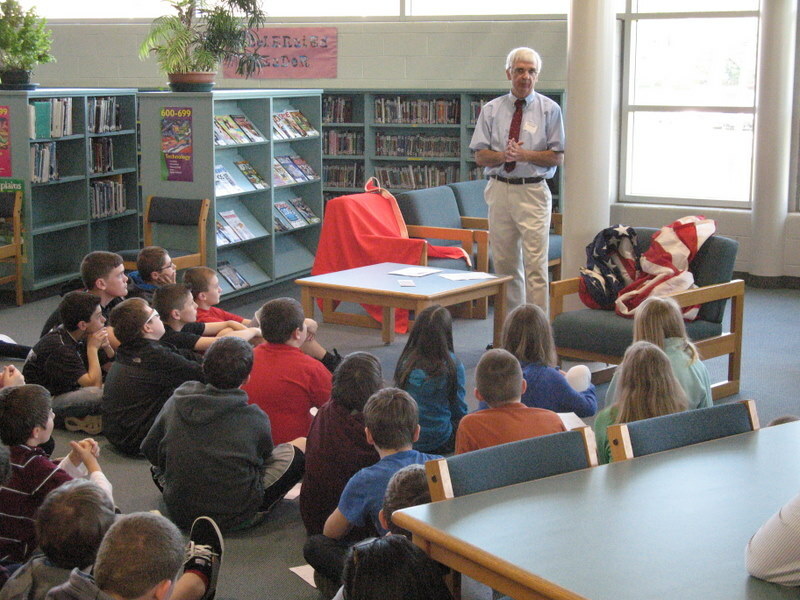 Bill Eickenberg, a retired teacher from St. Brendan’s in North Olmsted, presented the 6th graders the history of the Titanic and what they now feel caused it to sink. This year marks the 100th anniversary of the Titanic tragedy. Mr. Eickenberg did an amazing job and also has a Titanic display at the North Olmsted Public Library. Thank you Mr. Eickenberg for sharing your wealth of Titanic information with us and our community! 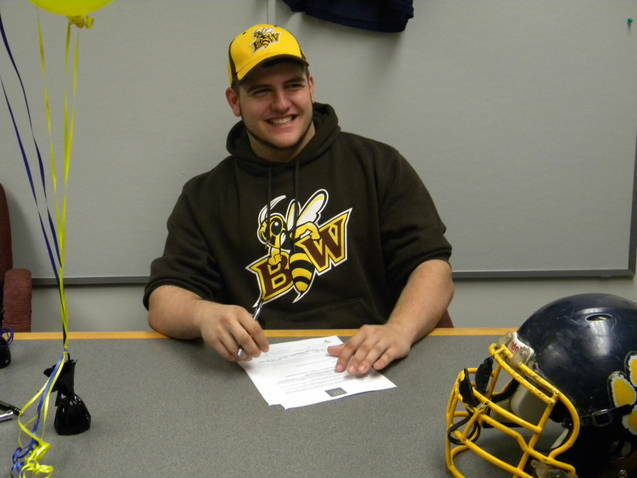 Nolan Brandt signed his commitment letter to play football at Baldwin Wallace in the Fall. Nolan and fellow senior and teammate, Mike Sauvey, also were named to the East West All-Star game this summer. 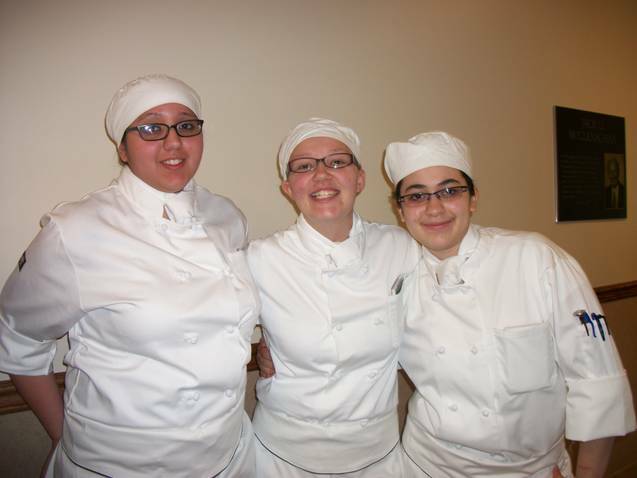 Congratulations to Olmsted Falls junior, Yesenia Figueroa, and her Polaris Career Center Junior Culinary Team (Vanesa Sanchez, Berea High School and Allison Shoemaker, North Olmsted High School)! They competed and won the gold medal in last week’s 2012 State Culinary Chef Competition at Hocking College in Nelsonville, Ohio. 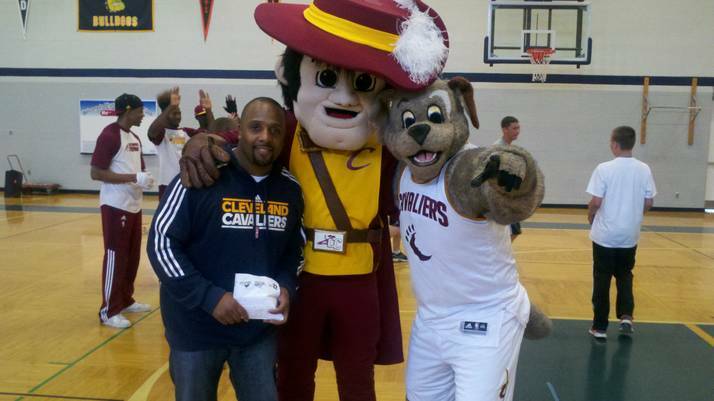 Moondog, the Cavalier, and the Scream Team Dancers were here to perform an entertaining show for OFMS students. To attend the event, students had to sell just ONE magazine subscription during the annual fall magazine drive. 181 students qualified for it, with approximately 75% of the students attending. The two mascots performed crazy antics shooting baskets with students on their respective teams. The dancers also performed, along with three student volunteers, strutting their stuff. 5th GRADE PARENT MEETING AT OFMS – 6th GRADE ORIENTATION – NEXT WEDNESDAY! Cedar Point Tickets for May 20, 2012 (day after prom) will be available in the Guidance Office until tomorrow, April 26, 2012. Cost is $35, cash or check made payable to OFHS. Senior parents who would like to volunteer to help with the senior cookout at the High School on May 29th from 11am-4pm should contact Mrs. Laut in the Guidance Office at tlaut@ofcs.net or 440-427-6116. ALL-U-CAN EAT WINGS, PIZZA & DRINKS TO SUPPORT OLMSTED EARLY CHILDHOOD PTA – THIS SATURDAY, APRIL 28th! Come out to Razzles/Rockers Café (27128 Bagley Road, Olmsted Twp.) THIS Saturday, April 28th from 7:00 p.m. – 9:00 p.m. for a great night of good food, loads of fun, and lasting friendships. Ticket price is $20/each and includes ALL YOU CAN EAT WINGS/PIZZA, limited beverages, 50/50 raffles, Chinese Raffle and DJ! For additional information or tickets contact Sandy Price @ 440-236-6088. Tickets are also available at the event. 21 and over please. OLMSTED FALLS POST PROM COMMITTEE FUNDRAISER – THIS SATURDAY! Fundraiser/Raffle: THIS SATURDAY! April 28th, 2012 6:30 p.m. until 9:30 p.m. @ Slim n Chubby’s (12492 Prospect Rd., Strongsville, OH. All you can eat Wings, Boneless Wings, Hot Dogs, Meatballs, Rigatoni and Cheesy Potatoes, BBQ meatballs. All you can drink Draft beer, Wine, Well mixed drinks, Pop, Coffee and Juice. Over 25 Chinese raffle baskets, 50/50 side boards. Tickets are $20.00 each. All proceeds will benefit 2012 Post Prom event. Please contact Teri Petro @ 236-6482. 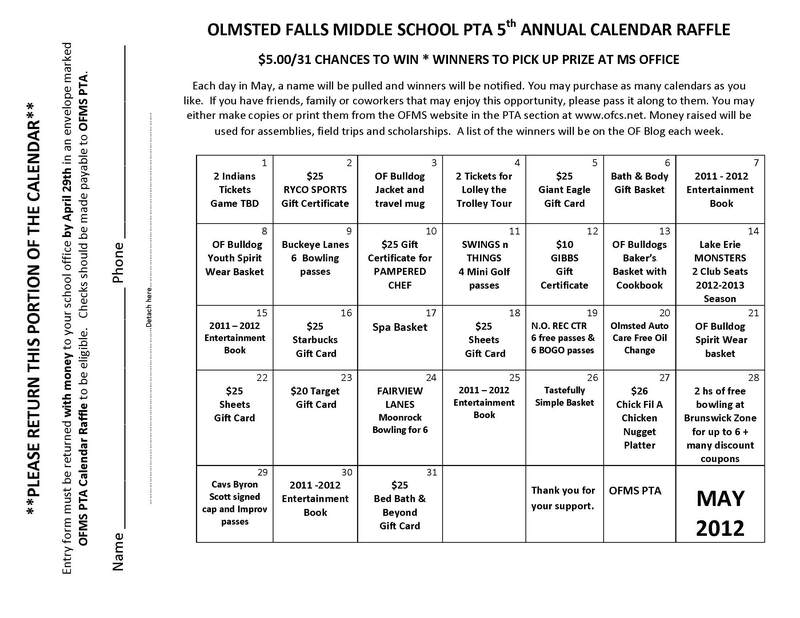 5TH ANNUAL MIDDLE SCHOOL PTA CALENDAR RAFFLE – GET YOURS TODAY! Help support the Middle School PTA by purchasing an entry in our 5th Annual Calendar Raffle. For $5.00 you are entered for a chance to win 31 days of great prizes. We will pull a different winner every day and a list of winners will be posted weekly on this blog. You may enter as many times as you like. Entry forms and cash or a check (made out to MS PTA) can be turned in at any of the school main offices. Take a chance. We have Indians and Monsters tickets, along with many other great prizes. The calendars will be coming home with the K-8th grade students this week. You can also download a copy of the calendar by clicking HERE. Entry form must be returned with money to your school office by April 29th in an envelope marked OFMS PTA Calendar Raffle to be eligible. Checks should be made payable to OFMS PTA. Thanks for your support! This is the final week to get your entries in for a chance at some great prizes! Focus Group for everyone Friday, April 27th/ 11:00 a.m. & 2:00 p.m. The next HOME lacrosse game for our girls will be NEXT Wednesday, May 2nd at 6:00 p.m. against Wadsworth at the OFIS field. Come check out the action, or click HERE for the schedule of all the girls’ games. 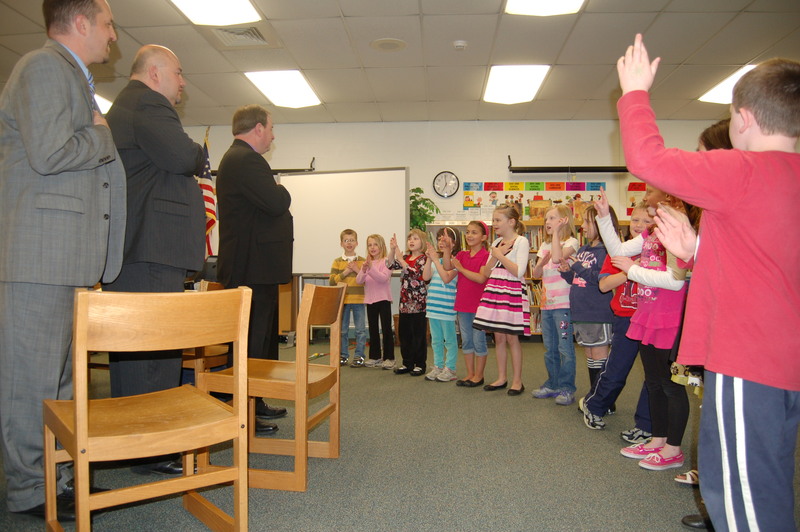 First grade students helped members of the Olmsted Falls Board of Education start their monthly meeting last week with a patriotic song, which also featured sign language. The young Bulldogs then led Board members and guests in the Pledge of Allegiance. Kudos to the students and their teachers for an outstanding job on this special performance! Children and their parents were invited to stay as some of our older Bulldogs from OFHS were honored for their achievements. Congratulations to the following Olmsted Falls High School students who were honored by the Board of Education last week for earning the title of Scholar Athlete or First Team: Nick Asadorian, Alex Bevilacqua, Olivia Henton, Jared Kurz, Bridget Liddy, Alita Petras, Erica Reiser, and Matthew Wachowiak. Congratulations also to Sarah Fissel whose artwork was selected as “Top 25” in the 2012 Ohio Governor’s Youth Art Exhibition and received the Governor’s Award of Excellence – see detailed story in this week’s blog! A cake and punch reception followed for all. Congratulations again to these great students – of all ages! 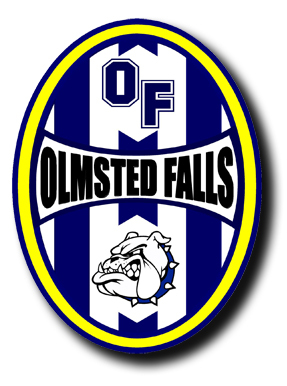 At its regularly scheduled monthly meeting last Thursday, April 12th, the Olmsted Falls Board of Education approved the recommendations of Superintendent Dr. Todd Hoadley to authorize the Olmsted Falls School District to advertise and receive bids for six permanent improvement projects. The District now looks forward to getting the bid process underway in an effort to finalize details and begin projects in early summer. Over the summer months, these much-needed repairs and renovations will get underway at the aging Olmsted Falls High School building. Resources are also able to be spread to other buildings in the District. Olmsted Falls School District will begin the 2012-2013 school year with a completely wireless network in all five school buildings. The District continues to extend sincere thanks and appreciation to voters! Tangible evidence of these P.I. funds is well on the way. Any parents or residents with questions about the P.I. funds and/or the projects being planned are encouraged to contact the Board office at 427-6000. 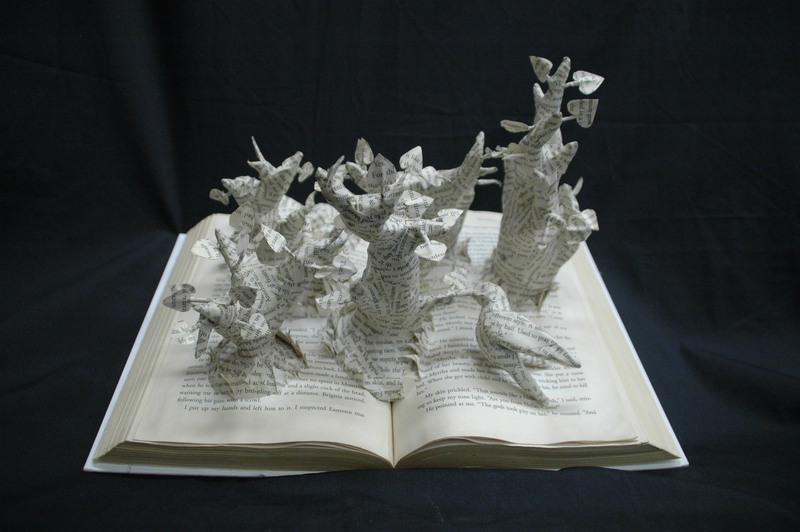 OFHS student Sarah Fissel’s amazing book sculpture earned high honors this past weekend as it was on display in Columbus, OH, as part of the Governor’s Youth Art Exhibition. Sarah’s creative work made the “Top 25” in this very prestigious show and she received the Governor’s Award of Excellence for her talent. More than 13,000 entries were submitted from across the state this year! 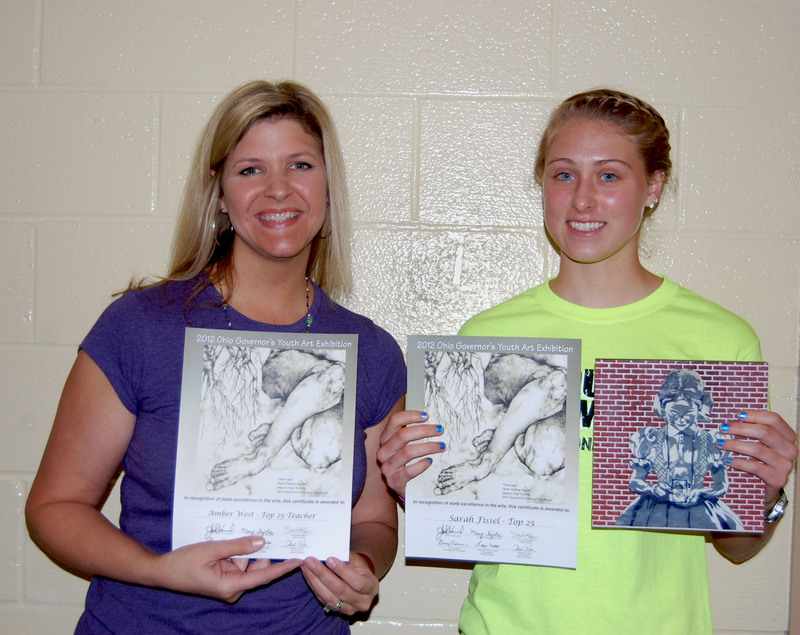 OFHS art teacher Mrs. Amber West and art student Sarah Fissel celebrate state recognition. Congratulations to Sarah on this outstanding achievement! 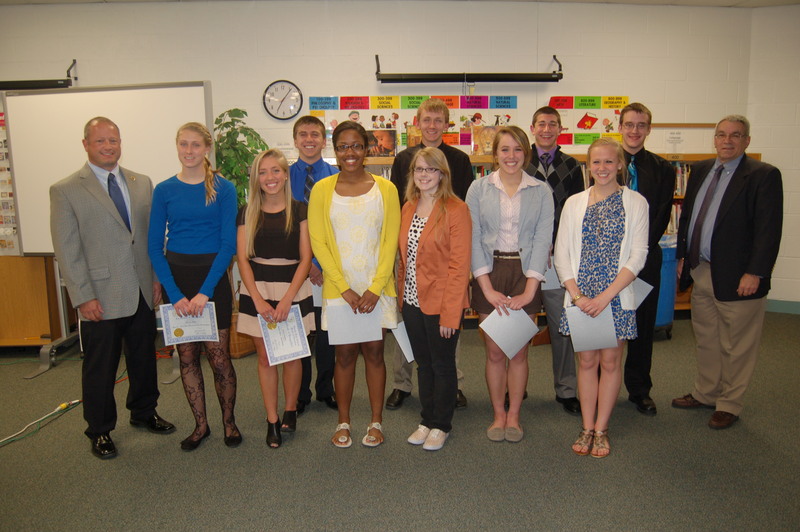 Sarah was also honored for this great accomplishment at last week’s Board of Education meeting (see above). Sarah’s art teacher, Mrs. Amber West, is especially proud as well. Not only is she Sarah’s current art teacher at OFHS, but Mrs. West also had Sarah as a student in grades K to 3! Kudos to both Sarah Fissel and Mrs. Amber West on this well-deserved recognition! 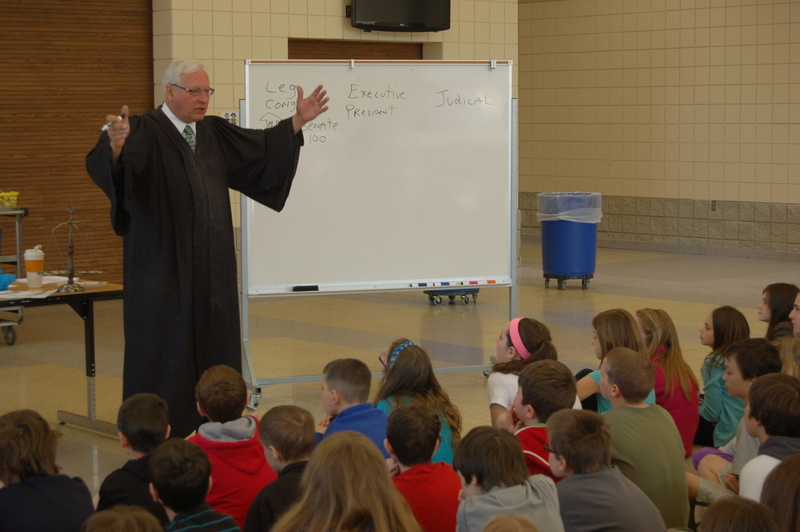 Parma Municipal Court Judge Kenneth R. Spanagel visited Olmsted Falls Intermediate School last Friday, making presentations to all 5th grade classes about government and the legal system. This educational event served as a supplement to the 5th grade social studies curriculum. The Honorable Judge Spanagel has been a judge in Parma for more than 25 years, and his father was a judge before him. Judge Spanagel did his undergraduate work at Northwestern; completed Law School at Case Western; and served as a lawyer for 12 years prior to becoming a judge. He is the grand-uncle of an Olmsted Falls Intermediate School student in Mr. Judson’s class. In addition to the large group presentations to all 5th graders, a small number of students also got the opportunity to have lunch with Judge Spanagel. 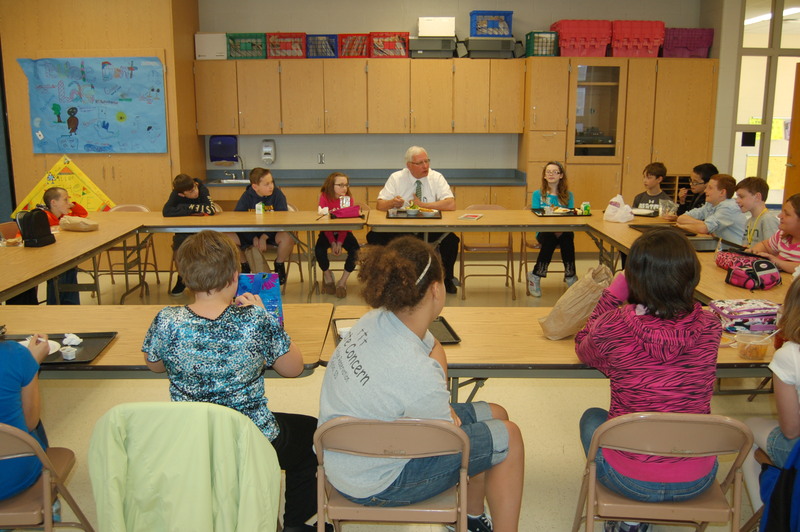 During lunch, each student had the opportunity to ask the judge a question about his work. Thank you to Judge Spanagel for this special visit; and to Mr. Judson for coordinating this unique learning experience for all 5th grade students. 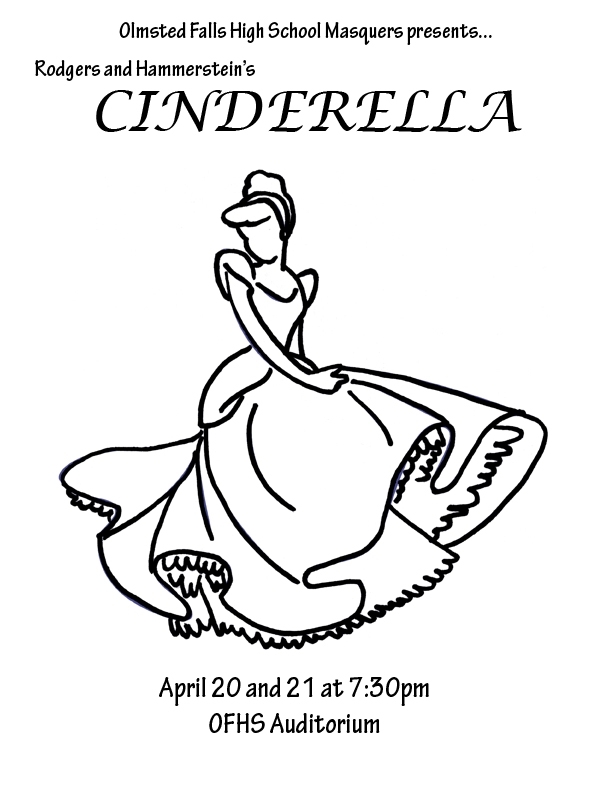 DON’T MISS OFHS MASQUERS PRODUCTION OF “CINDERELLA” – THIS WEEKEND APRIL 20TH & 21ST! OFHS Masquers is proud to present Rodger’s and Hammerstein’s CINDERELLA. Shows are scheduled for April 20th and 21st at 7:30p.m. in the High School auditorium. Come out and enjoy our talented drama students for a performance of this family-friendly classic! Angela Cole (senior) as Cinderella; Joe Gibson (sophomore) as Prince; Maggie Englehart (senior) as Stepmother; Maggie Winterich (senior) as Joy; Jillian Mesaros (senior) as Grace; Arrianna Robinson (junior) as Fairy Godmother; Cecelia Dahlinger (sophomore) as Queen; Richie Mendenhall (senior) as King; Ed Gorski (junior) as Lionel; plus a large ensemble cast! Tickets are $7 for adults and $5 for students/senior citizens. Tickets may be purchased in advance by calling Mrs. Leslie Pickenheim at 440.427.6070. Tickets are going fast and a sell-out crowd is expected! Don’t miss out! Get your tickets today! ATHLETIC BOOSTERS’ NIGHT AT THE RACES – THIS SATURDAY, APRIL 21st! One of OFAB’s biggest fundraisers is right around the corner – Night at the Races being held THIS SATURDAY April 21st at the German American Cultural Center. Doors open at 6:00 p.m. and races start at 8:00 p.m. Table of 8 is $240 ($30/person) and includes buffet dinner, pop, draft. Contact Dave Kurz (440-263-0051). Call soon as tables sell out! TWO MORE DAYS LEFT FOR FALLS-LENOX BOOK FAIR! Falls-Lenox annual Scholastic Book Fair is being held this week April 16th – April 20th in the Falls-Lenox Library. Thursday – 6 to 8 p.m.
Friday – 11a.m. to 12:30 p.m.
** There will also be a bake sale Thursday evening from 6 to 8 p.m. All money raised will go toward One For Books. Thanks! This month’s OFHS PTA Meeting has been changed to this Monday, April 23rd at 7:00 p.m. in the High School Library Media Center. (The meeting had previously been scheduled for Monday, April 30th.) Don’t miss this opportunity to stay on top of the latest happening at OFHS! Please mark your calendars for this Monday and join us! 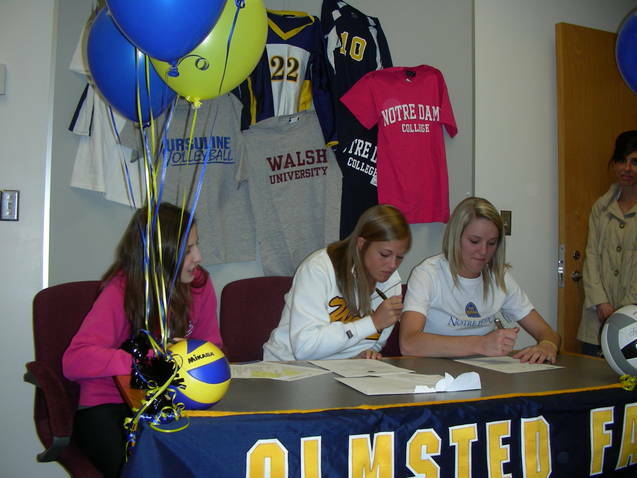 The Senior Captains from last year’s volleyball team signed National letters of Intent to their respective Division II colleges on Wednesday, May 11, 2012. Pictured from left to right are Jaclyn Brandt, who will be attending Ursuline College, Kelsey Snider, who will be attending Walsh University, and Angie Bush, who will be attending Notre Dame of Ohio. 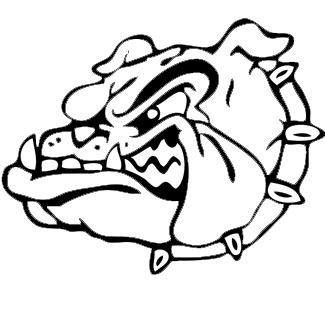 Angie Bush was a four-year letterman, while Jaclyn and Kelsey were three-year letterman for the Bulldogs. Congratulations and best wishes to these outstanding seniors! 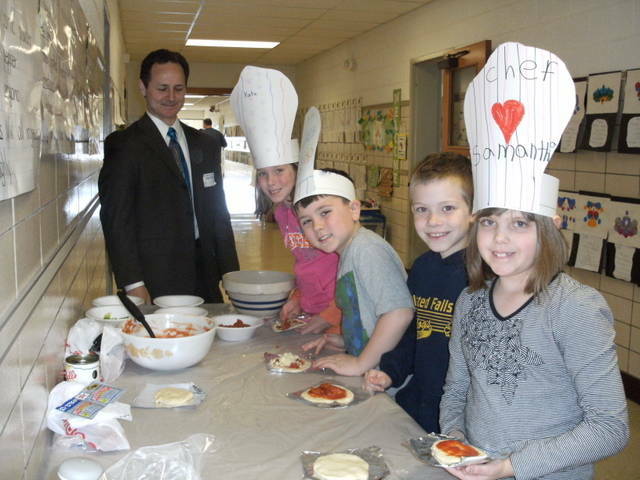 Second grade students at Falls-Lenox had an opportunity to put their reading and math skills to work with a fun, hands-on project. Students did a great job at following the instructions and ended up with a delicious reward in the end. Thanks to the second grade teachers and parent volunteers for bringing together this fun and educational activity! To view more photos, click HERE . 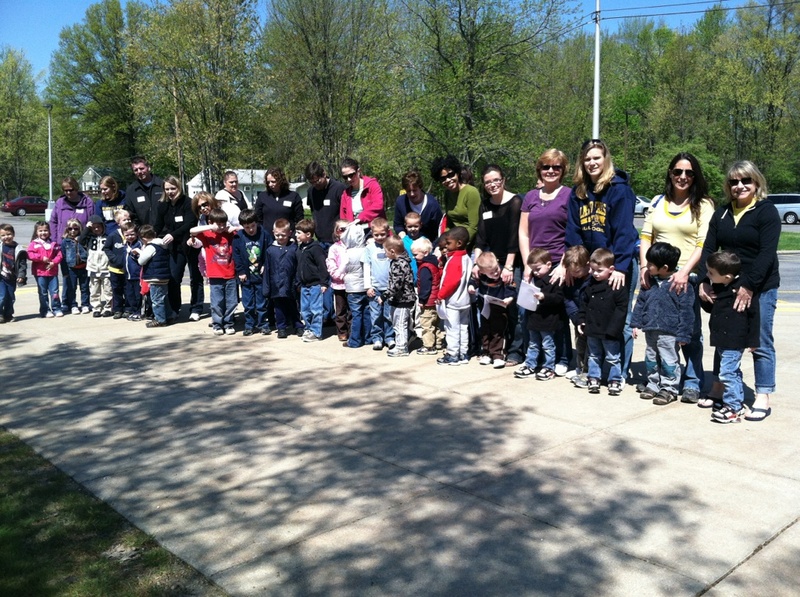 Preschool students from the Early Childhood Center had a play date at Olmsted Falls High School when they visited Mrs. Dawn Moses’ parenting classes last week. This is a wonderful example of sharing educational experiences across grade levels! To view more photos of this visit, please click HERE . Cedar Point Tickets for May 20, 2012 (day after prom) will be available in the Guidance Office until April 26, 2012. 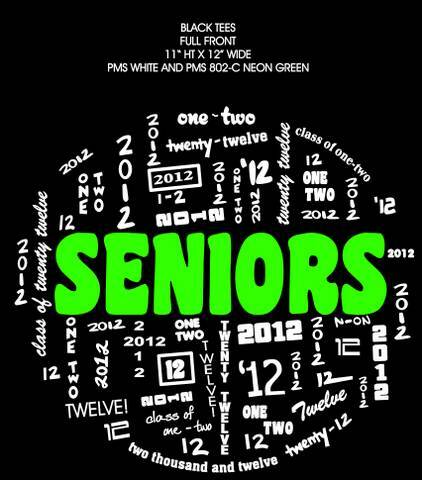 Cost is $35, cash or check made payable to OFHS. 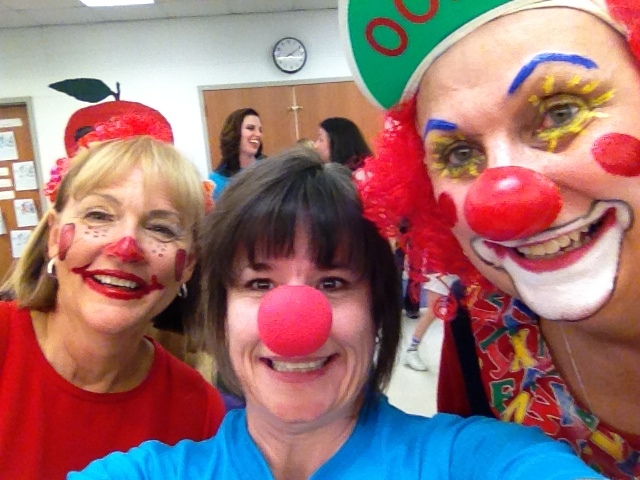 CARNIVAL FOR A CURE: FUN AND FUNDRAISING SUCCESS! The 2nd Annual Carnival For a Cure, held at Fall-Lenox last Friday and hosted by the Falls-Lenox For Life Team, was a ROUSING success! Between 500 and 600 people came out to enjoy some old fashioned fun of carnival games, cake walks, face painting, Relay style lap walking, and pie throwing at our principals! To view the photo gallery from this event, please click HERE. Manythanks to Angelina’s, Shaker’s IGA, Kiwanis, Falls-Lenox PTA, the High School Art Club, the High School Bulldog Buddies and friends, and the Falls-Lenox Staff! It was truly a group effort that netted over $4,655 for the upcoming, local Olmsted Falls Relay For Life event scheduled for June 9th and 10th! Everyone is welcome and we hope to see you there for even more fun! 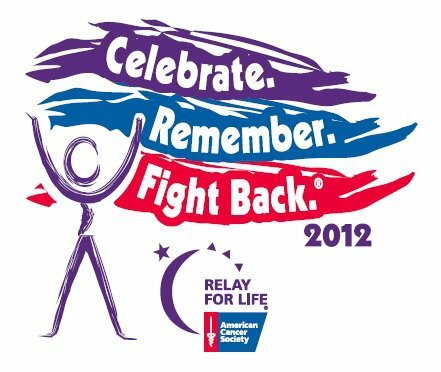 Visit the event website – www.relayforlife.org/olmstedfalls – to join in the local research study, join a team, or come out for the fireworks and fun! Thanks again to everyone! 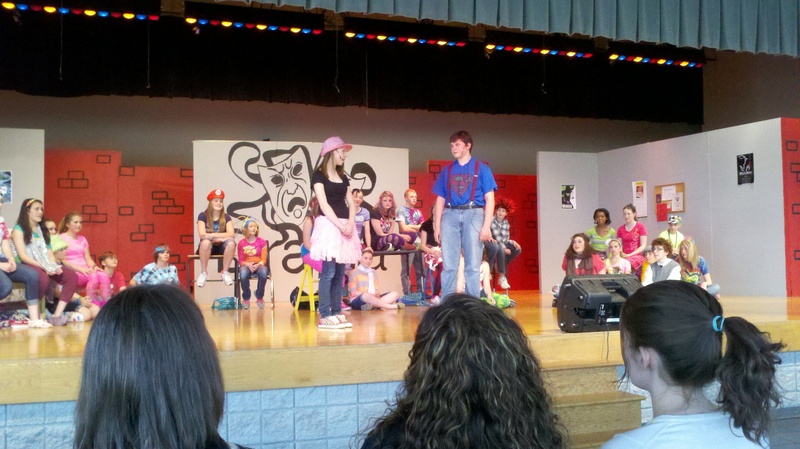 Students at the Middle School have been busy rehearsing for the spring musical, Godspell Jr. Performances will be April 25th, 26th, and 27th at 7:00 p.m. in the Middle School cafetorium. Tickets are $5 for adults and $3 for children, students, and seniors. Come out to Razzles/Rockers Café (27128 Bagley Road, Olmsted Twp.) on Saturday, April 28th from 7:00 p.m. – 9:00 p.m. for a great night of good food, loads of fun, and lasting friendships. Ticket price is $20/each and includes ALL YOU CAN EAT WINGS/PIZZA, limited beverages, 50/50 raffles, Chinese Raffle and DJ! For additional information or tickets contact Sandy Price @ 440-236-6088. Tickets are also available at the event. 21 and over please. NOMINATE A PTA VOLUNTEER OF THE YEAR! It’s PTA volunteer of the year nomination time! Hopefully, each PTA unit is currently in the process of nominating one or more PTA members who have gone “above and beyond” in volunteering their time and talents to better their child(ren)’s home, school and community experience during this school year. If you would like to still nominate someone for your PTA unit, please click HERE to download the form. You will need to include the nominee’s name, PTA experience/offices held, community involvement and a brief statement of recommendation. Forms may be turned in at any of the PTA meetings listed above. Please contact your PTA unit president or Ann Simon at simon@stratos.net if you have any further questions. Thanks for all your help! Dodge Ball Tournament: TOMORROW NIGHT, THURSDAY, April 19th, 2012 6:30 p.m. – 8:30 p.m. in the Olmsted Falls High School Gymnasium for 9th grade through 12th grade students. Prizes for the 1st place team and the best team costume. Half time activities for prizes. You will need five members per team and the team entry is $25.00. Teams can sign up during lunch time in the High School cafeteria beginning April 4th through April 18th. Tickets are $2.00 and will be on sale at the High School cafeteria during lunch hours. All proceeds will benefit 2012 Post Prom event. For more information please contact Lisa Hansinger @ 235-3029 or click HERE for the flyer. Fundraiser/Raffle: April 28th, 2012 6:30 p.m. until 9:30 p.m. @ Slim n Chubby’s (12492 Prospect Rd., Strongsville, OH. All you can eat Wings, Boneless Wings, Hot Dogs, Meatballs, Rigatoni and Cheesy Potatoes, BBQ meatballs. All you can drink Draft beer, Wine, Well mixed drinks, Pop, Coffee and Juice. Over 25 Chinese raffle baskets, 50/50 side boards. Tickets are $20.00 each. All proceeds will benefit 2012 Post Prom event. Please contact Teri Petro @ 236-6482. Entry form must be returned with money to your school office by April 29th in an envelope marked OFMS PTA Calendar Raffle to be eligible. Checks should be made payable to OFMS PTA. Thanks for your support! 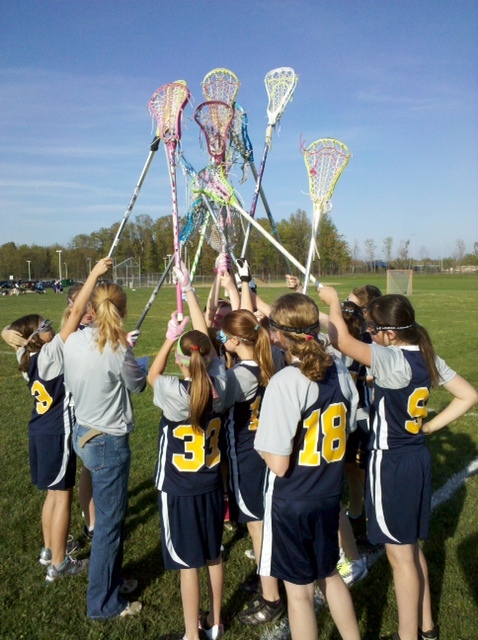 Olmsted Lacrosse Home Games – Check out Olmsted Falls’ newest sport for boys AND girls!! Support the Bulldogs and watch a home game! All games are played in the field behind OFIS or the large field behind the OFMS parking lot. 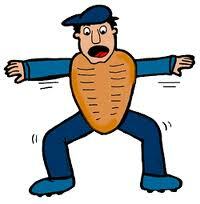 The 5/6th grade boys play Medina Thursday, April 19th at 5:30 p.m. and 6:30 p.m. at the OFMS field. 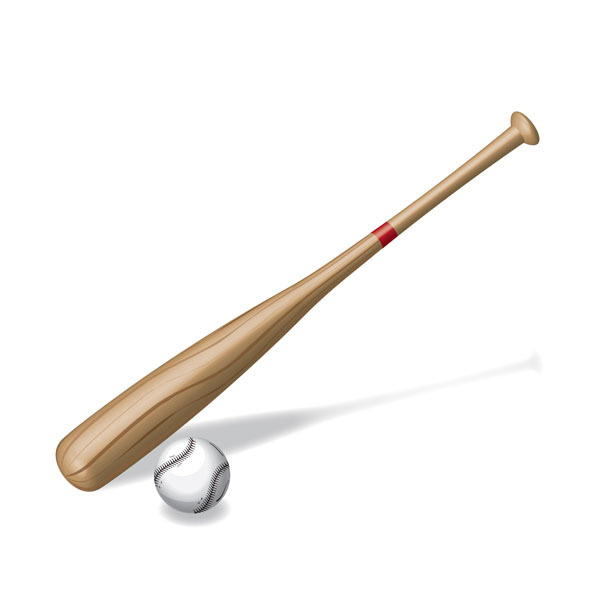 The 3/4th grade boys also play Medina Thursday, April 19th at 5:30 p.m. at the OFIS field. 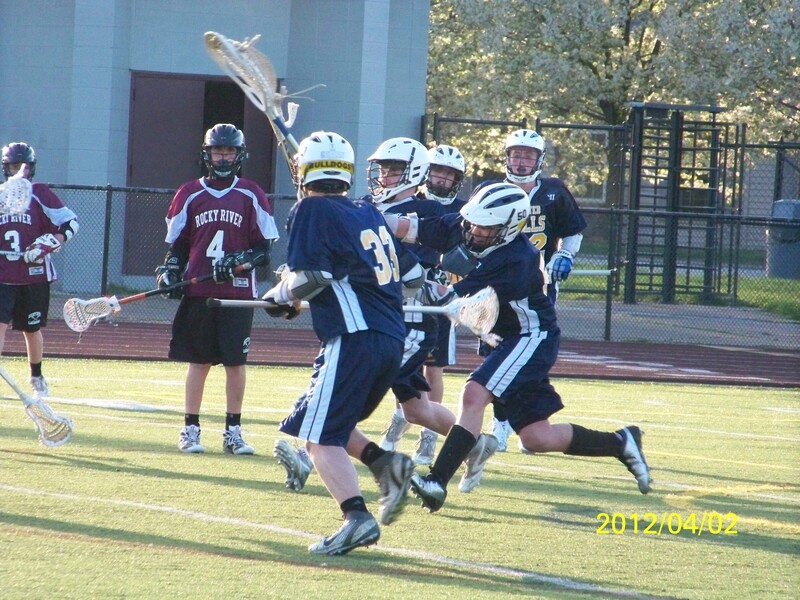 And finally, the middle school 7/8th grade boys play Strongsville on Monday, April 23rd at 5:00 p.m. and 6:00 p.m. For future games, check out www.olmstedfallslax.com. COMMUNITY SHREDDING EVENT – Saturday, May 5th, 9:00 a.m.to 12:oo p.m. at Falls-Lenox Primary School. Have documents piling up that are in need of safe, secure disposal. 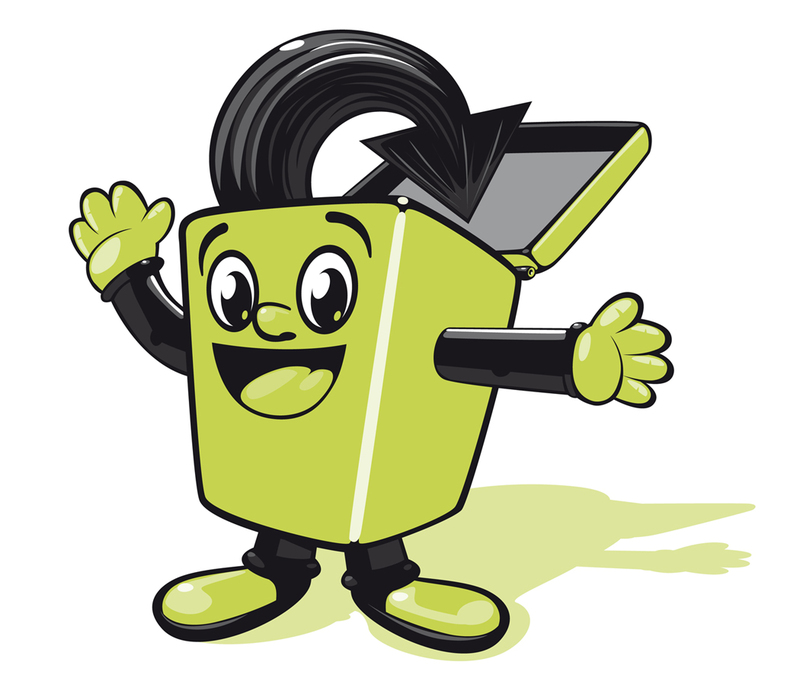 Bring them over to the Community Shredding Day to take advantage of fast, powerful shredders that will help you safely rid yourself of those piles of paperwork that you can’t simply throw away! 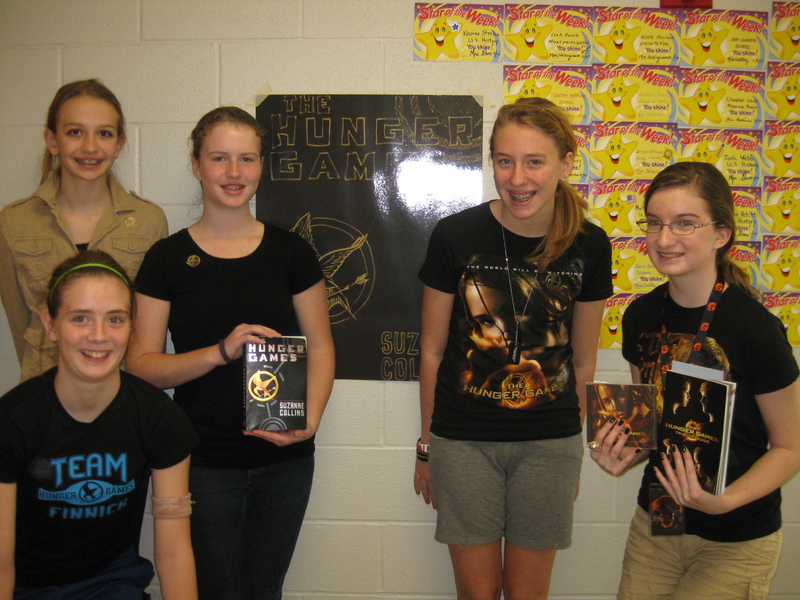 OFMS STUDENTS CATCH “THE HUNGER GAMES” FEVER – MORE THAN 380 STUDENTS & PARENTS ATTEND PRIVATE OPENING DAY SCREENING! It has been hard to escape the buzz over the newly released movie, “The Hunger Games,” which is based on the book trilogy of the same name by television writer and novelist Suzanne Collins. At Olmsted Falls Middle School, excitement over the new movie was at an all-time high among students who had avidly read the series of books over the course of the year. Middle School teacher Mrs. Robyn Tenerowicz could not let all that great excitement and energy go to waste. Mrs. Tenerowicz coordinated with Regal Cinemas corporate headquarters in Denver, Colorado, to arrange for a special screening exclusively for Bulldogs on Friday, March 23rd – the date of the movie’s official release to the public. Reserving two full theaters with her own credit card, Mrs. Tenerowicz was confident that she’d easily pack the house with excited students and parents! And she was right! 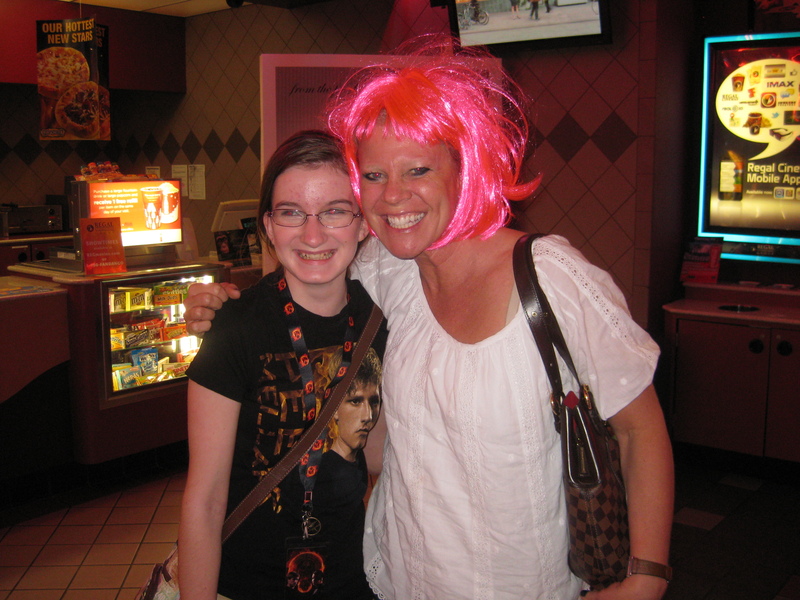 More than 380 students and parents attended the private screenings at the Regal Cinemas in Middleburg Heights! Students and staff filled five buses after school the Friday before spring break for the journey down Bagley Road to the theaters! Waiting for them in the parking lot were approximately 60 parents, who were also excited to attend the private screening with their children. One parent remarked that it had been a long time since her child wanted to go to the movies together – and that this special screening event was building connections within families and among the community! Mrs. Tenerowicz dressed as a character from the movie for the event! This unique field trip – including transportation costs – was paid for entirely by those who attended! Kudos again to Mrs. Tenerowicz for making this creative connection available for students and families! Her efforts have brought the pages of a book to life for students (and parents), and helped foster a life-long love of reading! Kudos to our students for being so engaged in and excited by the books you are reading! Keep turning those pages Bulldogs! 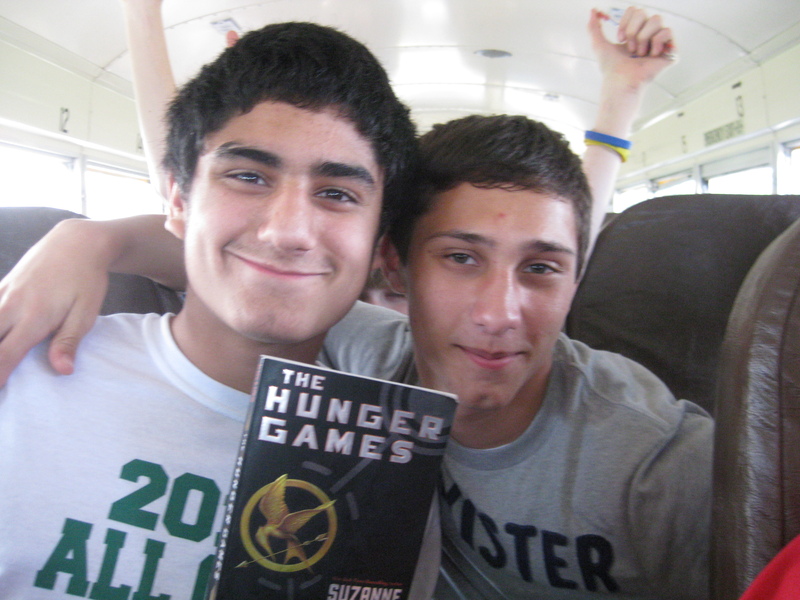 To view additional photos from “The Hunger Games” field trip, please click HERE. Olmsted Falls City Schools currently has job vacancies for Certified, Classified and Exempt positions for next school year, 2012-2013. To view the list of vacancies, please click here. Applications for all vacancies are submitted on-line. Positions are posted as they become available, so those interested in the latest job posting information are encouraged to visit our website periodically. Please visit www.ofcs.net and click on the “Employment” link. Please note that if you have already applied on-line and later see another position that interests you, you may return to your existing application and update it to include the new posting. The OFHS team of honors math students did well against some of the finest public and private schools in Ohio. Outstanding performances were achieved by the following students throughout the school year: Mitchell Zehe, Kevin Thompson, Megan Doherty, Marty Mendenhall, Dan Becker, Andrew Zitnik, David Lance, Rachel DuBois, Erin Hoadley, Sohan Vartak, Olivia Henton, Matt Wachowiak, Tom Hoy, Brad Sevcik, and Kevin Candow. Congratulations to these outstanding students and to the OFHS Math Department! 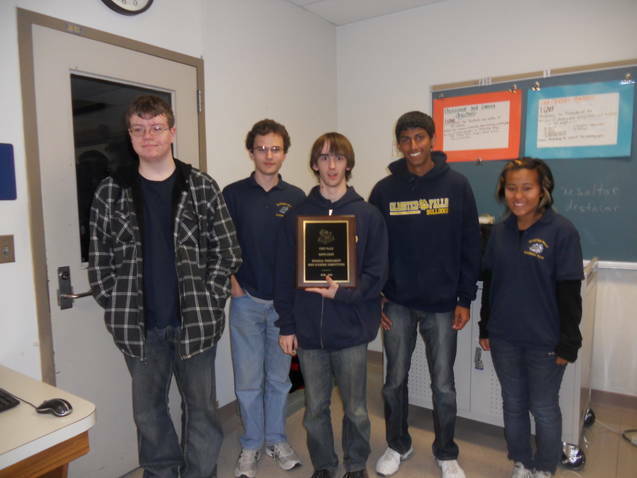 To view the final team standing for OFHS in the Ohio Mathematics League for 2011-2012, please click HERE. 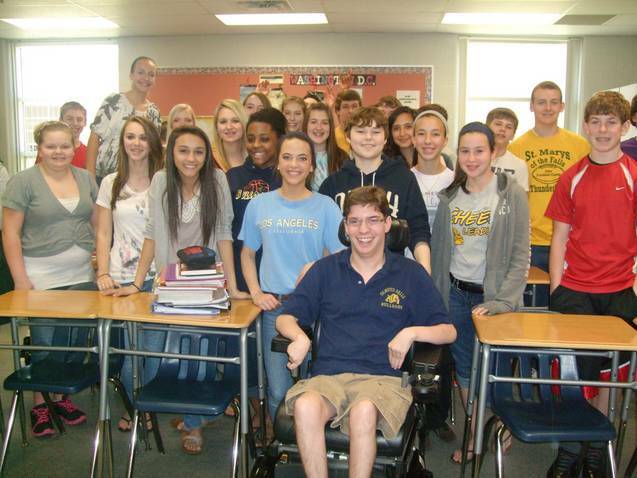 The 8th Grade Blue Team had former student Stewart Hodges speak to them during STAR classes during the month of March, about his challenges as a person with special needs. Stewart’s message tied in very tightly with the Rachel’s Challenge mission to “inspire, equip and empower every person to create a permanent positive culture” in the school and community setting. 8th Grader Matt Harris competed at the 24th annual state-wide geography bee at The Ohio State University – Mansfield campus on Friday, March 30th. Harris competed against one-hundred-four other students from grades four through eight. Although he did not proceed to the final round, Matt represented Olmsted Falls very proudly! Congratulations Matt! To prepare the OFMS eighth graders for the adventures in Washington D.C., lessons were arranged to provide the students with knowledge and understanding of the trip that they were about to endeavor. 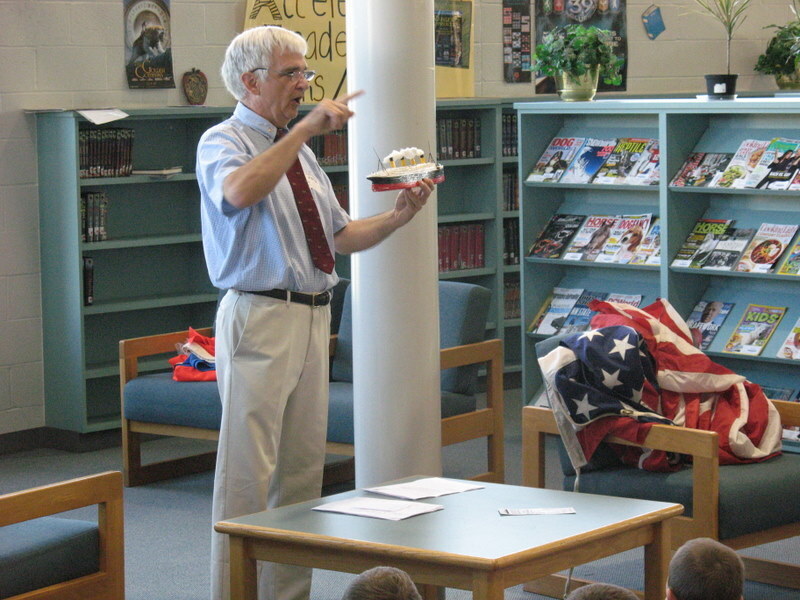 Part of the day involved speaker presentations from a WWII veteran, Mr. Bristow and Vietnam veteran, Mr. Smith. Mr. Bristow is a retired educator from the Fairview Park City Schools who now resides in Brunswick. 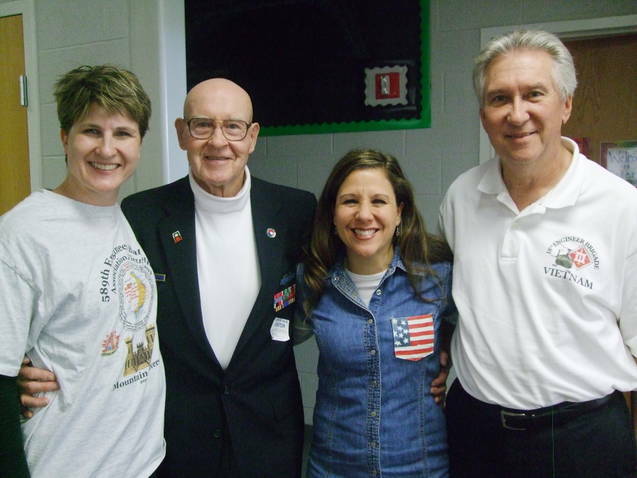 He earned a Bronze Star for his service and spoke to the students about his experiences in Germany. Mr. Smith is a paraprofessional at OFMS and is a familiar face to the students. Although, students may know him by passing him in the hallway, they were able to gain a prospective of his life in the military fighting for our country at Vietnam. Both speakers focused their presentations about their experiences and what the memorials at Washington D.C. means for the people and the veterans that visit them. Don’t miss next week’s blog for a recap of the OFMS Washington D.C. trip – including photo gallery! DON’T MISS OFHS MASQUERS PRODUCTION OF “CINDERELLA” – APRIL 20TH & 21ST! 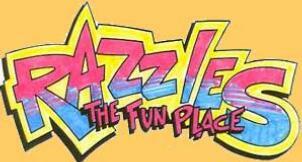 A fundraiser to support travel for the Olmsted Falls Academic Team (OFAT) will be held at Razzles on THIS FRIDAY, April 13, 8-10 p.m. We’ll also have an auction with great items from OF companies, sideboards, and more! Families welcome! Kids under 6 FREE. $20 tickets available from OFAT members, coaches, or at door. Or contact mendykin@aol.com; 440-234-7964. Join us on Saturday, April 14th at 6:30 p.m. for an evening of music and dancing as the Olmsted Falls High School BlueDog Jazz Band and Golden Expressions Vocal Jazz Ensemble present their third annual compilation of classic and contemporary hits. The event includes desserts , dancing, soft drinks, door prizes, basket raffles, and a Grand Raffle for a new IPAD! 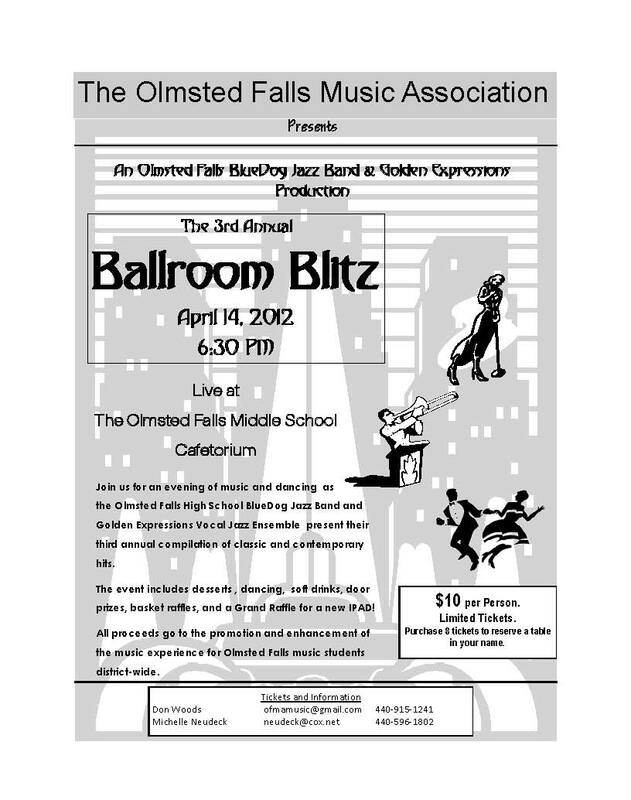 All proceeds go to the promotion and enhancement of the music experience for Olmsted Falls music students district-wide. Tickets are $10 per person; purchase 8 tickets to reserve a table in your name. For tickets or more information, contact Don Woods ofmamusic@gmail.com 440-915-1241 or Michelle Neudeck neudeck@cox.net 440-596-1802. Please click HERE for the flyer. BOOK FAIR AT FALLS-LENOX NEXT WEEK! Falls-Lenox annual Scholastic Book Fair is being held April 16th – April 20th in the Falls-Lenox Library. Monday through Friday – 11a.m. 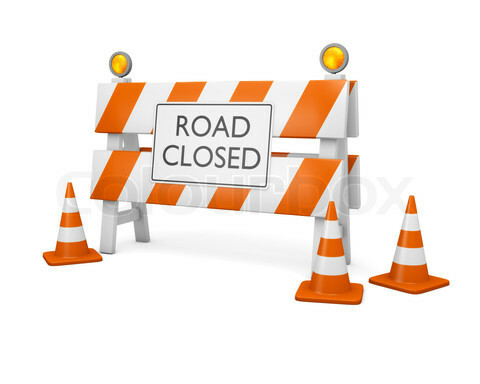 to12:30 p.m.
Monday and Wednesday – 2:30 to 4 p.m.
Tuesday and Thursday – 6 to 8 p.m. There will also be a bake sale Thursday evening from 6 to 8 p.m. All money raised will go toward One For Books. Thanks! 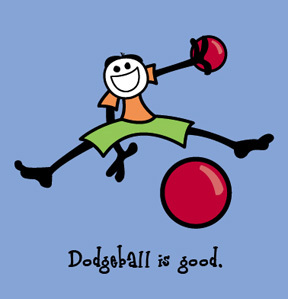 Dodge Ball Tournament: April 19th, 2012 6:30 p.m. – 8:30 p.m. in the Olmsted Falls High School Gymnasium for 9th grade through 12th grade students. Prizes for the 1st place team and the best team costume. Half time activities for prizes. You will need five members per team and the team entry is $25.00. Teams can sign up during lunch time in the High school cafeteria beginning April 4th through April 18th. Tickets are $2.00 and will be on sale at the High school cafeteria during lunch hours. All proceeds will benefit 2012 Post Prom event. For more information please contact Lisa Hansinger @ 235-3029. ATHLETIC BOOSTERS’ NIGHT AT THE RACES – APRIL 21st! 1. Purchase tickets to attend. Table of 8 is $240 ($30/person) and includes buffet dinner, pop, draft. Contact Dave Kurz (440-263-0051). Call soon as tables sell out! 2. Sponsor a horse. It’s fun and you have a chance to win $50. We need your horse order form (attached) and $30 payment by April 6. Horse sponsors are recognized in the Night at the Races program. Have questions? Call Shelly Mitchell (216-570-6370) or Lisa Hanna (440-427-0551). 3. Purchase an ad for the program. Contact Ken Fox (440-391-0624) for details. Ad deadline date is April 6. Ad costs: Full page ad- $100; 1/2-page ad – $50; and business card sized ad – $25. 4. Donate a door prize or gift basket. Additional money is raised at the event through gift basket and big ticket item raffles. Please contact Jim Polcar (440-235-7156) if you have something you would like to donate. Donations are due April 6 so we can recognize the donors in the Night at the Race program. Visit our website for the official Night at the Races flyer and our horse form! Entry forms and cash or a check (made out to MS PTA) can be turned in at any of the school main offices. Take a chance. We have Indians and Monsters tickets, along with many other great prizes. The calendars will be coming home with the K-8th grade students this week. You can also download a copy of the calendar by clicking HERE. Thanks for your support! Focus Group for everyone Friday April 27th/ 11:00 a.m. & 2:00 p.m.
Focus Group for Parents Thursday May 3rd/4:00 p.m.
Focus Group for New Americans Friday May 4th /11:00 a.m.
2ND ANNUAL CARNIVAL FOR A CURE: A FALLS-LENOX CARNIVAL NIGHT AND MINI “RELAY” – THIS FRIDAY, APRIL 13, 2012 FROM 6 – 9 P.M.
Hope to see everyone there! All welcome – even if you hadn’t planned on coming originally, but now can! Join us for the fun! REMINDER: Olmsted Falls School District will be CLOSED this Friday, April 6th and Monday, April 9th for the Easter holiday weekend. School will resume on Tuesday, April 10th. OFMS DESIGN SQUAD TEAM DOES IT AGAIN! Congratulations to the Olmsted Falls Middle School Design Squad Team! The team of Morgan Ashton, Maggie Backus, Stephen Miller, and Alex Kho spent the first Saturday of spring break competing in creative problem solving and engineering challenges in WVIZ’s Design Squad challenge. Their excellent teamwork and problem solving skills once again led the team to beat out schools from all over the Cleveland area. The team took first place in this tough engineering competition for the second consecutive year! OFMS gifted teacher Mrs. Anne Miskimins serves as advisor for the OFMS Design Squad Team. 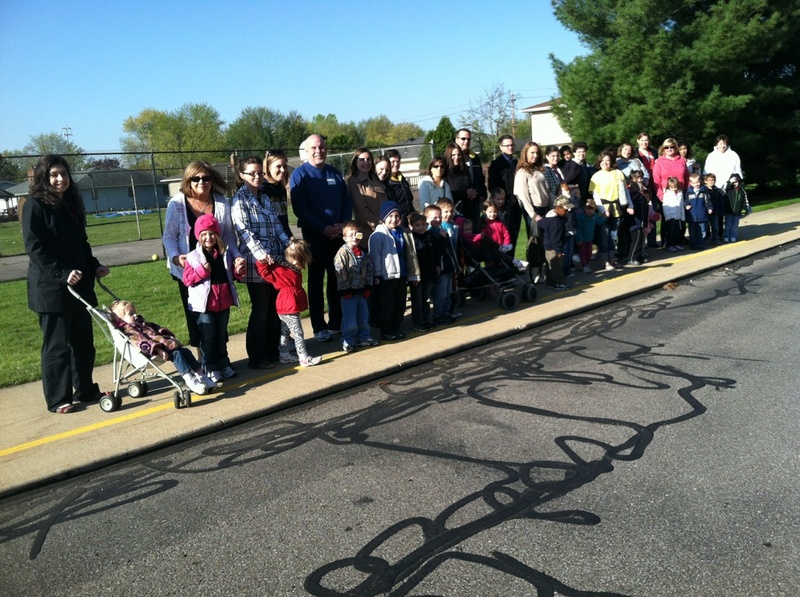 Students at Falls-Lenox were greeted by a safer, wider walkway Monday thanks to funding from the recently passed P.I. Levy. Students at Falls-Lenox Primary School returned to wider, safer sidewalks this week following the completion of the first project made possible by funds generated from the recently passed Permanent Improvement Levy. 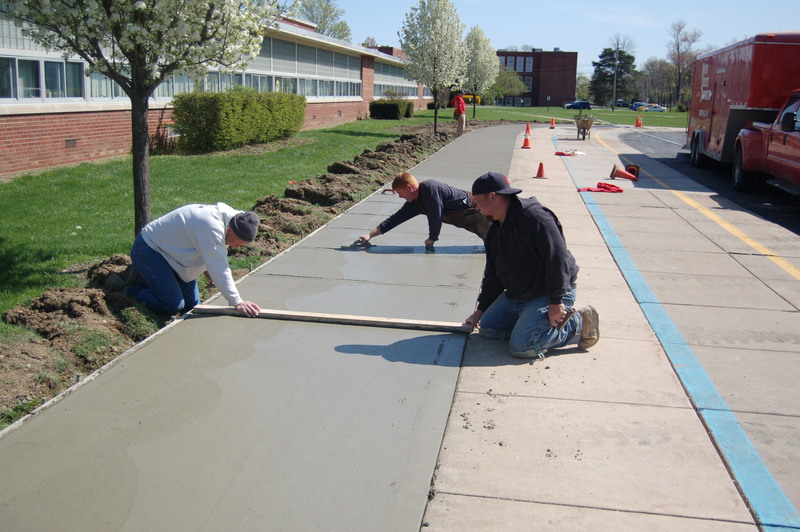 Martin Concrete Construction Company, located here in Olmsted Falls, was hired to complete much-needed concrete work at Falls-Lenox Primary School as well as at Olmsted Falls Middle and High Schools. The team from Martin Concrete Construction Company worked on the Falls-Lenox sidewalk expansion project over spring break. 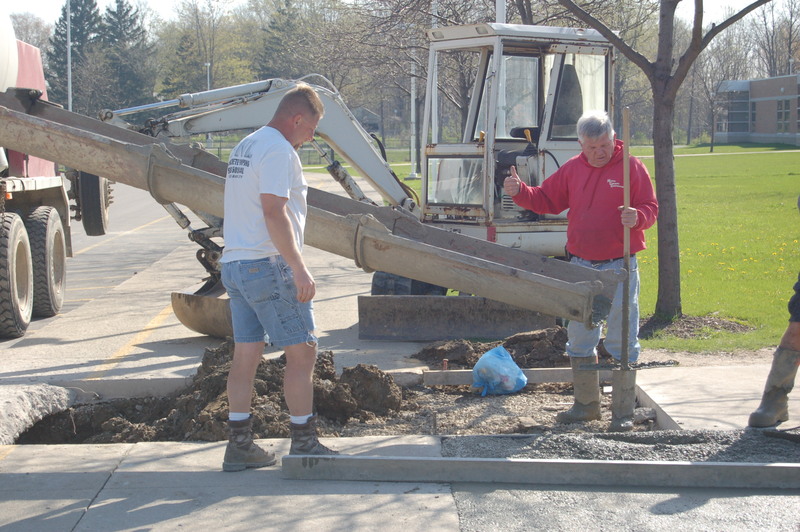 At Falls-Lenox, Martin Concrete Construction Company worked over the spring break recess to widen the main sidewalk that runs along the front of the school. 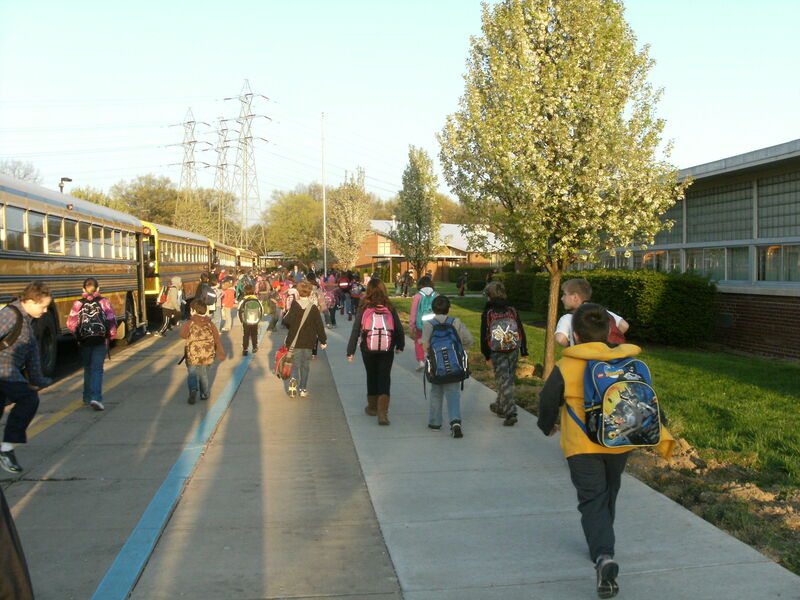 This wider walkway will help ease congestion on this critical stretch sidewalk, which serves as the primary hub for loading and unloading of buses each school day. Martin Concrete also completed work along the sidewalk in front of Olmsted Falls Middle School, and between the baseball diamonds located at the east end of Olmsted Falls High School. Martin Concrete Construction owner Al Martin overseeing the concrete pour in front of OFMS - another P.I. project completed over spring break. The 2.8 Mill P.I. Levy was passed in November 2011, and began generating revenue for the District in January of 2012. Because the passage of this levy was timed to correspond with a scheduled drop off in millage of the same amount, residents in the Olmsted Falls School District will not see any increase in their property taxes. The benefits of passing this critical P.I. levy will be evident in the months and years to come as the District will now have the funds available to address a number of pressing building and facility needs. By law, P.I. funds can ONLY be used for capital improvement projects with a shelf life of five years or more. While a significant portion of these new P.I. funds will be dedicated to building renovations and facility system upgrades at the aging Olmsted Falls High School, there will also be funds available for other needed projects throughout the District – such as the sidewalk expansion at Falls-Lenox. Olmsted Falls School District wishes to again extend our sincerest thanks to the Olmsted community for providing us with these critical funds to help maintain and protect one of its biggest investments – our school facilities. Please watch for regular P.I. project updates here on the District’s weekly blog as well as in the School Report, which is mailed to all District residents. Anyone with questions about any of the upcoming P.I. projects is encouraged to contact the Board of Education Office at 427-6000. Be sure to check out the newly updated Olmsted Falls School District website (www.ofcs.net), which was upgraded and re-launched during last week’s spring break recess. The website renovation was provided at NO COST TO THE DISTRICT in conjunction with an overall software upgrade being made to the website’s content management system. All existing content from the previous website was transferred over and updates were made to help improve the ease of navigation for all users. Visitors will find new pull-down menus across the top and a collection of new “Quick Links” for each building page. We invite you to CLICK HERE to begin exploring the new District website now! iPHONE APP NOW AVAILABLE FOR OFHS! OFHS has an iPhone app! This new application serves as a one-stop tool for everything related to Olmsted Falls High School. The app includes communication links, links to all high school related web pages, an interactive quiz about OF history, and push notifications for the release of important information. Please click HERE to download the new OFHS App and enjoy! SAVE THE DATE! 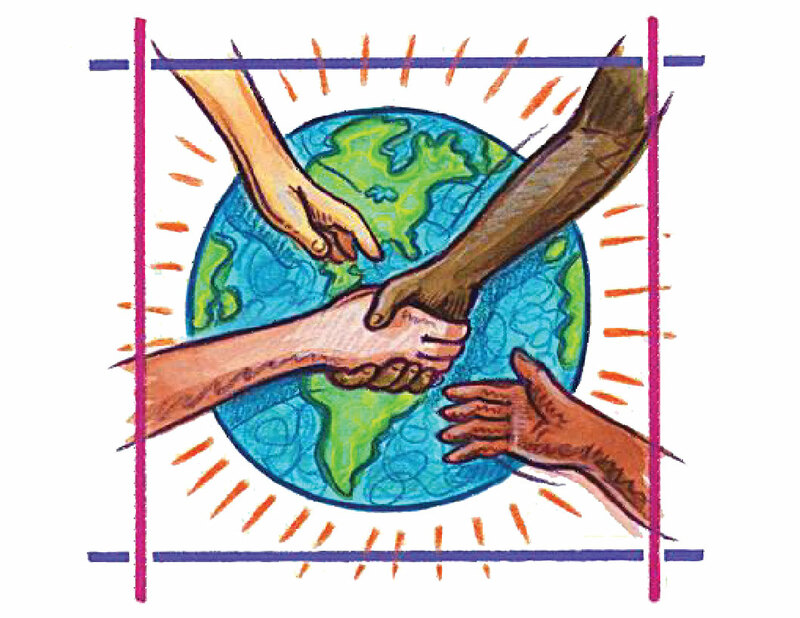 Students and parents are invited to attend the Helping Hands meeting next Tuesday, April 10th at 6:00 p.m. in the High School, Room W5 (art room, use west side gym entrance). Student group for grades 6-12 & Parent group for parent(s) of OFCS student(s) in any grade will meet. Helping Hands is a disability awareness program that helps people of all ages learn attitudes of acceptance, dignity, and respect towards all people, especially those with disabilities. Please contact Mariel Krakowiak for additional information or questions: 440-427-6086, mkrakowiak@ofcs.net. 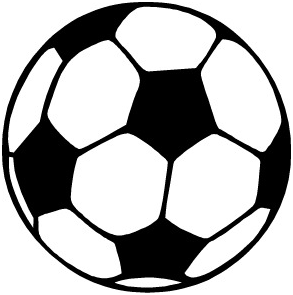 The Boys Soccer Team will be having its Player and Parent Meeting on Tuesday, April 10, 2012 from 7:30 – 9:00 in the Olmsted Falls High School Cafeteria. All players who are planning on playing soccer for Olmsted Falls High School need to attend with a parent. Preschool and Kindergarten students at the Early Childhood Center celebrated Right To Read Week with a variety of special activities and events during the week leading up to spring break. “Read A Shirt Day” when students were inspired to wear shirts with words on them. “Guest Reader Day” when special visitors from throughout the District and the community volunteered to read in the classrooms. Students were also treated to a special story-telling assembly thanks to the support of the Falls-Lenox/ECC PTA who paid to bring an exciting program from Playhouse Square right into the gymnasium at the ECC! Performers from Playhouse Square put on an interactive play that included student participation. Fun was had by all! THANK YOU PTA! And THANK YOU TO ALL THE VOLUNTEERS AND STAFF who made this year’s Right To Read Week a success! 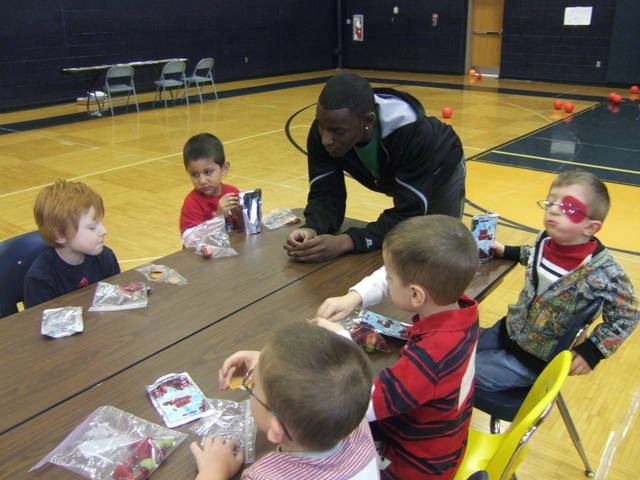 Please click here to view more photos from ECC Right To Read Week. DON’T MISS OUT ON FREE COLLEGE SCHOLARSHIP / FINANCIAL AID ADVICE AVAILABLE FOR OFHS PARENTS & STUDENTS – ONLY ONE OPPORTUNITY LEFT! Is college just around the corner for your student? If so, OFHS is providing the opportunity for parents to meet individually with financial advisor Mr. Dave Minich from College Now of Greater Cleveland. Mr. Minich has been scheduling appointments to personally meet with parents/students to help connect them with different college scholarship and funding opportunities. Mr. Minich can also help with filing for FAFSA (Free Application for Federal Student Aid). Parents are highly encouraged to take advantage of this great opportunity! ONLY ONE DATE REMAINS! Mr. Minich will be scheduling appointments in the OFHS Guidance Office for NEXT TUESDAY, APRIL 10th between the hours of 1:00 – 8:00 p.m. Don’t miss out on this great opportunity!